What a warm and beautiful evening this was with Allison! We had the most beautiful location to shoot at! I could get lost at this farm! I loved capturing this sweet young lady! She’s spunky, fun, adorable, and has a sense of grace about her that is lovely through the camera! Here she is!! Here’s another precious, beautiful, young lady, Emory McKeel! 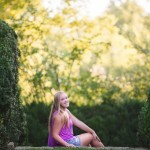 Sweet sixteen portraits are extra special! I’ve known Emory for a long time through the ballet company! I have enjoyed watching her mature into a lovely young lady.